Opening weekend $17.057 million on 2973 screens. In Tears of the Sun, director Antoine Fuqua’s follow-up to Training Day, we meet Navy SEAL A.K. Waters (Bruce Willis), a lieutenant who’s sent into revolutionary Nigeria to rescue a physician, Lena Kendricks (Monica Bellucci). 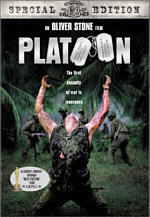 Given orders to extract all “critical personnel” from his commander (Tom Skerritt), Waters heads into the jungle to get Kendricks – an American by marriage – and some of her missionaries, out of the country before some Muslim rebels come knocking on her door and slaughter everyone in sight. However, when Waters and his crew get to Kendricks’ jungle hospital, they find that she doesn’t want to leave without the Nigerians that she has been caring for at her mission. In order to get the doctor to leave, Waters tells her that if they will march to the helicopter landing/rescue zone, that he and his men will make sure that everyone is extracted … he neglects to tell her that he’s lying. When the group arrives at the loading zone, Waters and his men try to jostle Doctor Kendricks on to the chopper so they can get out of heck out of Dodge … Nigerian patients/refugees be dammed. However, when Lieutenant Waters looks back and sees the natives waving goodbye at them, he has an unexpected change of heart and he begins loading old women and young children on the chopper to get them to safety first. He claims that he will lead the remainder of the group to safety himself – on foot – and for one of the first times in his military career, his conscience overrides his primary mission. Against the wishes of his commander, Waters and his men head back into the dangerous jungles, while being pursued by a Muslim militia group who wants to see them dead. 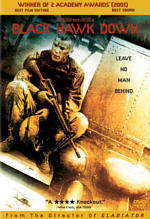 Along the way, through the eyes of the soldiers, we see the atrocities that are occurring in the country to its inhabitants (events that were fabricated for the film in case you didn’t know) and the dangers to Waters and his group increase because of the humanitarian tone the mission has now taken on. Will Waters and his men see the group to safety or will the Muslim rebels track them down and slaughter them before they can rendezvous with the other Americans? Bruce Willis phones in his role here as the hardened Navy SEAL with his trademark discreet, minimalist style. His subdued rage and squinty-eyed look are in full effect here and while it works more often than not for the battle-hardened Lieutenant Waters, Willis is almost starting to become a caricature of himself with his stereotypical stare. Willis is joined by the very hot and somewhat talented Monica Bellucci whose only job in the film seems to be to argue each and every decision Willis makes, as well as overlook the obvious in the majority of the situations they’re placed in. While the film has a worthwhile message, Tears of the Sun ultimately fails because it can’t decide whether or not it wants to be an action film or a humanitarian one – the “socially cognizant action genre” is a tricky genre indeed. While these two subjects have mixed much more smoothly in other films, the crew behind Tears of the Sun simply can’t pull it off here. It fails to portray its victims as anything other than background characters and while it’s somewhat successful at showing soldiers reconciling their conscience with their mission, it manages to fall into the trap of being somewhat stereotypical as well. Columbia has released Tears of the Sun with an anamorphically enhanced widescreen transfer in the film’s theatrical aspect ratio of 2.40:1. The film and its DVD transfer were very pleasing and Columbia has really outdone themselves here. The film was consistently sharp and detailed, with even the smallest of objects coming through crystal clear on Columbia’s transfer. Colors were very earthy and natural, with the forestation of the Hawaiian jungles coming across as appropriately lush and inviting. Everything was properly balanced and saturated at all times and there was never any smearing of colors noted. The black levels were quite solid and strong throughout the film, with only the slightest amount of grain seen, while fleshtones were consistently pleasing and natural. Flaws with the print were miniscule, as I noted some slight grain in some of the darker scenes, as well as some slight shimmer on some highly contrasted areas. Edge enhancement was kept to a minimum and flaws such as compression artifacting and jaggies were never noted. Print flaws such as flakes and flecks never distracted at any time and the master print for Tears of the Sun was as in as good of shape as you would expect for such a recent, major studio release. Tears of the Sun comes from Columbia is a Dolby Digital 5.1 mix that was pretty active and kept the your surrounds engaged for a good portion of the film. While there were moments where I felt Columbia could have employed the surrounds a bit more gratuitously, they still did a really good job of immersing the viewer into the action when the film called for it. Effects were pretty immersive as helicopters engulfed your viewing area when they were in the air, gunshots and explosions rang out from all over, and Hans Zimmer’s very effective score seemed to get propped up quite often from the rears. The jungles of Nigeria offered up some decent environmental ambience from time to time, but not nearly as much as it seemingly could have. Even so, it was an engaging and engulfing listen that exploited the rather expansive soundstage quite nicely. Dialogue was relegated to the forward spectrum for the vast majority of the film and was always easily understood and intelligible. Harshness or edginess were never an issue in the track whatsoever and everything from the film’s dialogue to its effects to Hans Zimmer’s nicely done score, was rich, full, and consistently crisp. Low end was appropriately deep and bombastic when called upon, but somewhat restrained in the grand scheme of things. Even so, it offered some really nice support to the score, as well as the effects – especially in the heat of battle. Columbia has also included a French Dolby Digital 5.1 mix, as well as subtitles in English and French. Columbia has added some really nice supplements for fans of Tears of the Sun with the first and foremost being a Director’s Commentary with Antoine Fuqua and while he offers up an engaging piece, it’s full of standard-fare information or information that’s rehashed on other portions of the DVD. We do get some personal information on why he wanted to make the film, as well as information on what it was like working with Hans Zimmer on the score, what it was like shooting on location – on aircraft carriers and in Hawaii, casting, background on certain deleted scenes, the military’s involvement in the project and the great respect he has for them, reactions to the critical reaction the film received, and so on. While first-rate information, it seemed to follow the “director’s standard commentary” a bit too much for my tastes … good stuff, just slightly generic. The film’s making-of featurette shows up under the heading Journey to Safety: Making “Tears of the Sun” (15:04). The principals in the film discuss the current political climate in Africa, as well as the tribal warfare that has been tearing the African continent apart for ages. We learn how Willis came about the story, how Fuqua became involved, the different subplots in the story, character motivations, shooting on location in Hawaii, how great so-and-so was to work with, and so on. There are admittedly some touching moments in the supplement when you hear some of the stories about some of the African natives - who actually serve as extras in the film and actually lived through similar situations in their own life - but outside of that, there’s nothing learned here about the production you haven’t seen and heard in other, more comprehensive, supplements. In Voices of Africa, we hear from eight African citizens about the living conditions there, the constant political upheaval, and personal horror stories of their being beaten, tortured, or victimized in some form or fashion. Unfortunately, no subtitles have been provided (unless the person knows noEnglish) and all of the participants speak with thick and at times, unintelligible accents. Each participant may be selected individually or via a –PLAY ALL- feature provided by Columbia and with each story lasting anywhere from 90 to 180 seconds, we get around 20-minutes or so of total running time. Deleted Scenes follow and here, we have the option of choosing from eight different selections including “Mission Establishing / Call For Help” (3:56), “Departure Prelude / Lt. Waters Talks to Father Gianni” (2:36), “Dr. Lena Kendricks Talks to Sisters / Grace and Siobhan / Gideon Arrives” (2:23), “Vulture at Mission” (0:25), “Village Pillage Outtake” (1:04), “Terwase Addresses Rebel Soldiers” (2:39), “Silk and Musa Talk About African Ancestry” (1:40), and “Arthur Azuka’s Final Speech” (3:50). Presented without commentary, each of the scenes simply expands on certain things already seen in the film and with the feature clocking in at over 2-hours, I’m sure folks were looking for a way to cut down on the running time of the film. None of the scenes in and of themselves would have added a whole lot to the proceedings and while their inclusion on the DVD is nice, they were all rightfully cut from the product you may or may not have seen in theaters. Each of the scenes is presented in 2.40:1 widescreen and Dolby Digital 2.0. 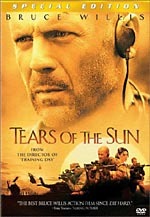 Tears of the Sun was an average film with good intentions and a good heart. Unfortunately, the execution just didn’t do it for me. However, for fans of the film or die hard fans of its principals, Columbia has really done an excellent job on all aspects of the DVD – audio, video, and supplements – and it’d be hard to go wrong by picking up a copy when it streets. However, for those of you unfamiliar with the film, I’d highly suggest a rental first.